Perfect burger requires perfect fries like an order of Parmesan French Fries from Counter our favorite and best burger joint in Reston Town Center, DC’s far away new suburb. Talk about perfect of a creation, these are the best fries in the area. WOW pure flavor joy in every bite. 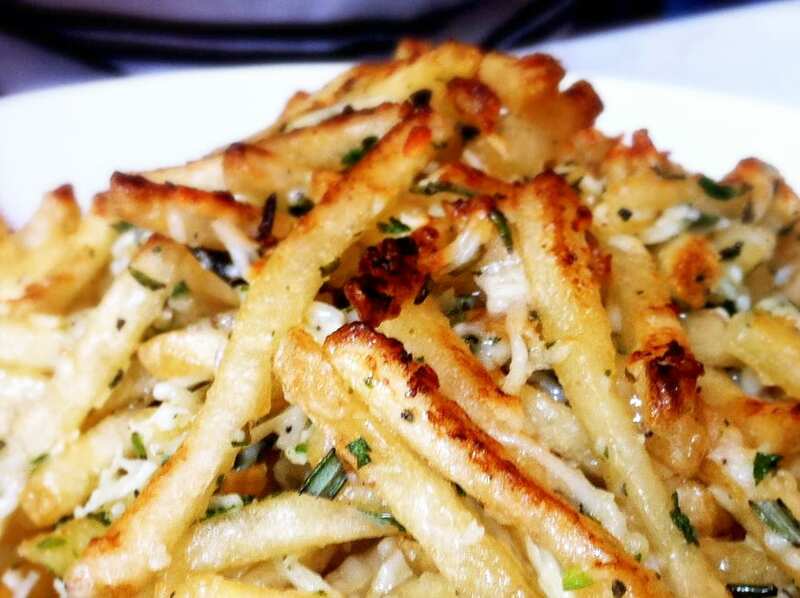 Crispy thin french fries topped with a whole lot of parmesan cheese and seasoning. 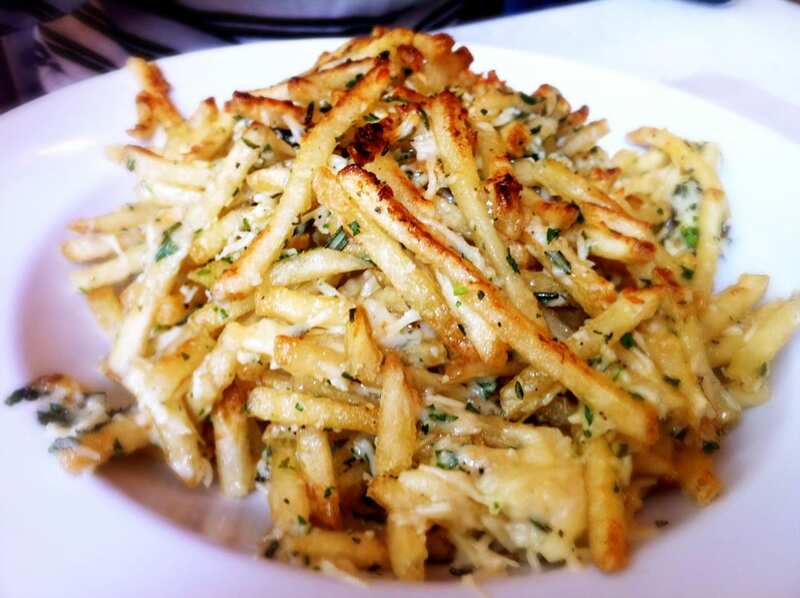 They are extra crispy fries which gives them such a nice texture and crunch in every bite. Such a strong flavor that they are simply addicting to eat. So addicting that you might not be able to stop. Its a very large order of fries so you really should share it with a friend or two. Even after they are gone you might just want to order a second round. Try finish this at your own risk, a beautiful and tasty risk that is so worth it. 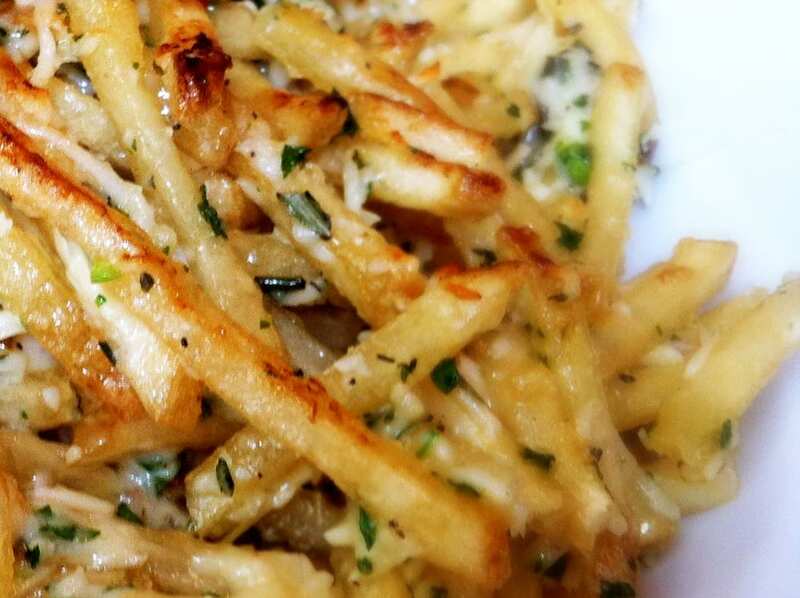 Perfect french fries side order for your burger, but with so much flavor they might make a perfect topping.